MAHADISCOM Recruitment 2018 – Dear Applicant, Maharashtra State Electricity Distribution Co. Ltd. has released notification for 164 posts. There are total 164 Executive Engineer, AEE & DEE posts. Applicants can apply for MAHADISCOM Executive Engineer Vacancy 2018 through online mode. The last date of registration for Apply Online MAHADISCOM Jobs 2018 is 06th November 2018. Furthermore, Eligibility criteria, application fees, selection procedure, how to apply and others are mention below. You must require to read the full article properly. Interested applicants must fulfill eligibility criteria of MAHADISCOM Jobs 2018. If they are not fulfilling the given below eligibility conditions, their application form will be rejected. The details of education qualification, age limit, and other parameters include in MAHADISCOM Recruitment Eligibility conditions. Therefore you must read given below information to check your eligibility condition. Applicants who want to fill MSEDCL Vacancy Application Form must have Bachelor Degree in Electrical Engineering/Technology. Candidates also have required experience in relevant field for MAHADISCOM Executive Engineer Job 2018. Furthermore, mention on official advertisement which is mention below. The age criteria is decided as on 06.11.2018. Applicants should not be completer the upper age limit which is mention below for MAHADISCOM Recruitment 2018. Upper age relaxation will applicable for 05 years reserved category and applying for the reserved backward class posts. Departmental candidates also receive maximum age relaxation and there maximum age will be 57 years. Rest information refers to MAHADISCOM Executive Engineer Jobs 2018. Selection of applicant will be made on the basis of online examination and personal interview. On November 2018, the department will conduct online examination against MAHADISCOM Recruitment 2018. So applicant, those want to select for Executive Engineer, AEE & DEE Vacancy must qualify the online test. After that, you will call for Interview round. The MSEDCL Recruitment will be done strictly merit basis. To select the candidate 90% weightage drawn to online examination while 10% for Interview round. Applicant must qualify both round to select for MAHADISCOM Jobs 2018. Furthermore, checks the official advertisement. If you want to submit your MSEDCL Job application form successfully then you also require to pay application fees. The Application fees once submitted not refundable. Applicants may pay MAHADISCOM Executive Engineer Recruitment fees through online mode only. Category wise fees details is mention below. Unreserved Category/ Applied Against Open Category : Fees will be Rs. 500/- with Transaction charges. Reserved Category: The application fees will be Rs. 250/- with Transaction Charges. Interested and eligible candidates may apply online for MSEDCL jobs 2018. 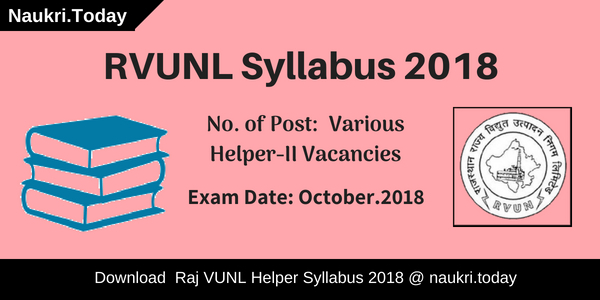 The online application form is available from 16.10.2018 to 06.11.2018. 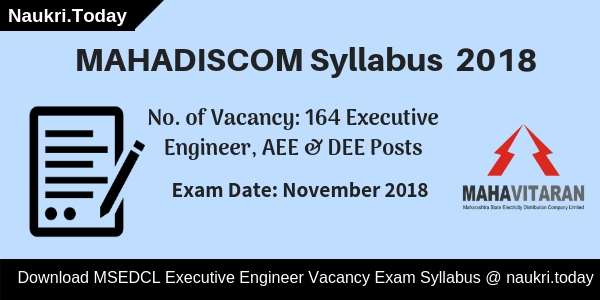 Here in below section, we mention some instructions to apply online for MAHADISCOM Executive Engineer Jobs 2018. First of all, go to the official site mahadiscom.in. Download MAHADISCOM Vacancy Notification and read it properly. If you are eligible for Executive Engineer, AEE & DEE Vacancy now you can fill the online form. 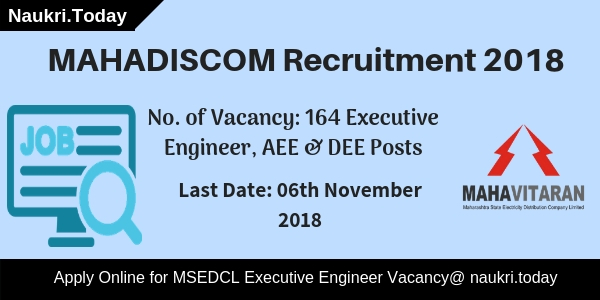 Click on the link Apply online for MSEDCL Recruitment 2018. Now enter the details like personal and educational. Upload your Signature and photograph on MAHADISCOM Recruitment Online Form. Make payment of application fees through online mode. Recheck your application form and then submit MAHADISCOM Job Online Form. Take the print out of it for future uses. Conclusion: Maharashtra State Electricity Distribution Company Limited is inviting online application for filling up 164 Executive Engineer, AEE & DEE Posts. Applicants can fill the online form from 16.10.2018. The last date of apply online for MAHADISCOM Recruitment 2018 is 06.11.2018.